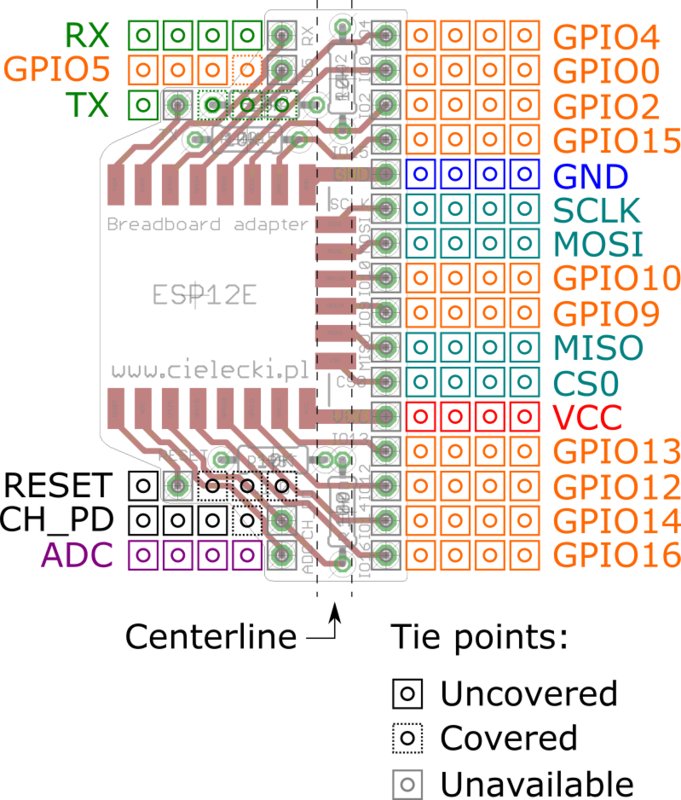 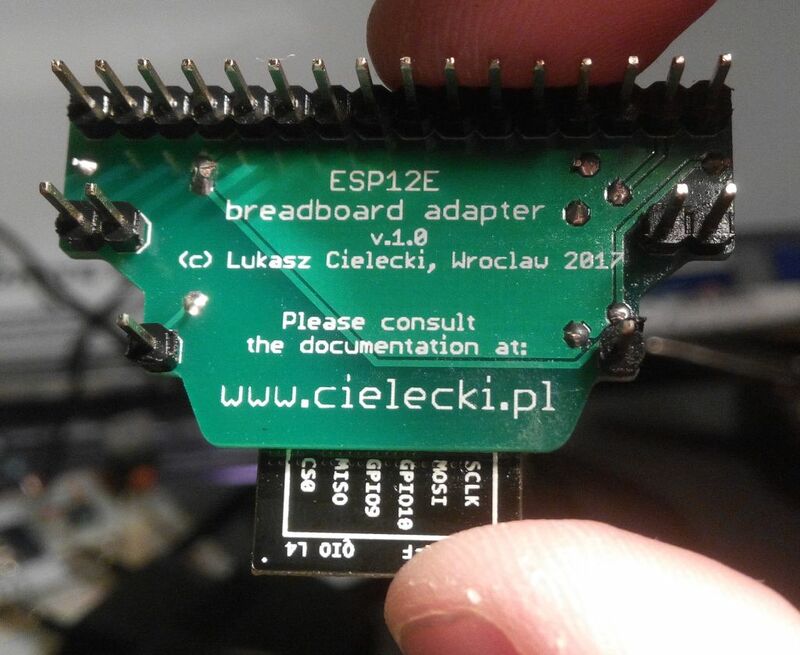 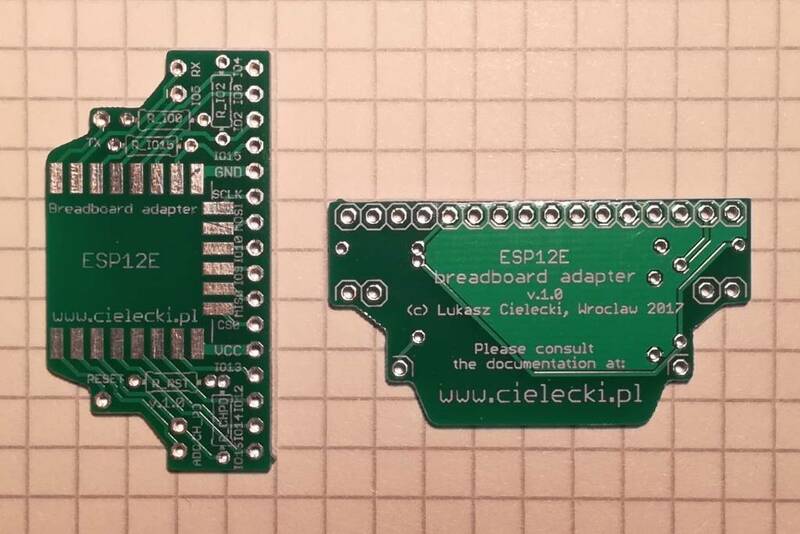 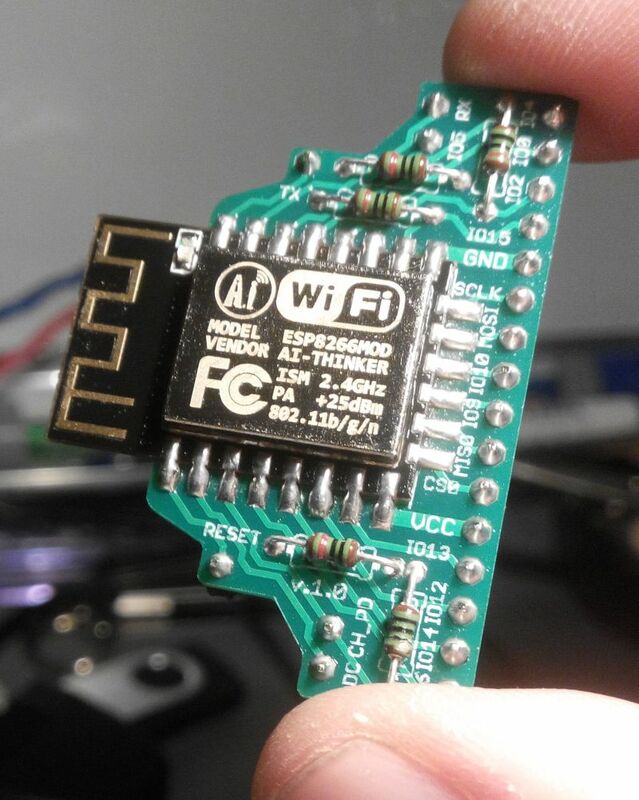 While working on my recent ESP8266 project I discovered that it’s pretty hard to find a breadboard adapter that has all the pins from ESP-12 E / F modules available. 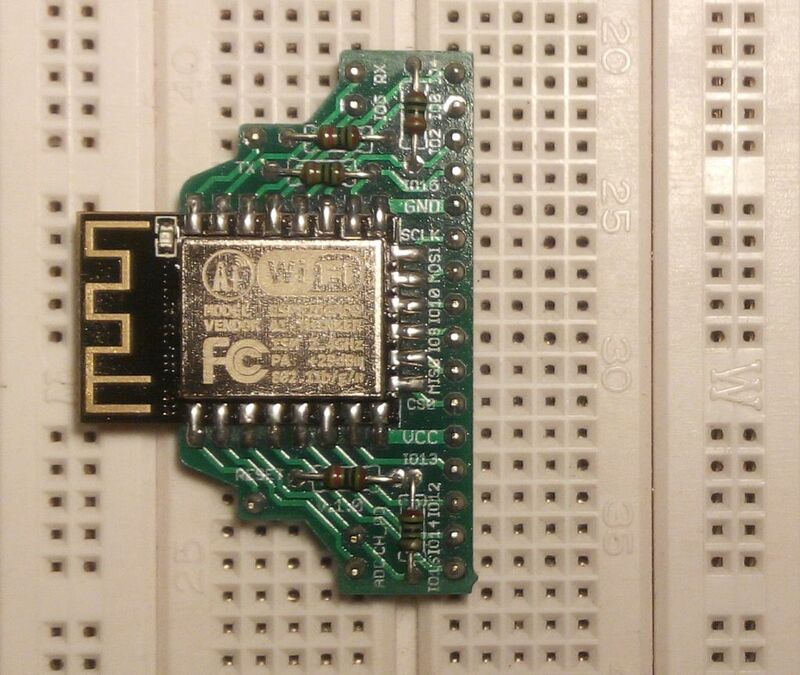 Most popular adapters don’t utilize 6 pins located opposite the WiFi antenna. 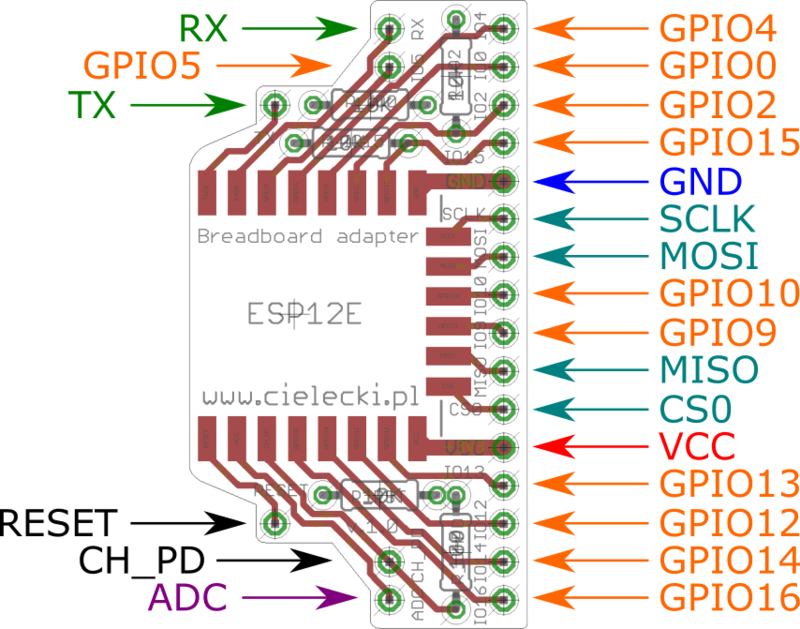 Small size – only 16 rows of breadboard is occupied. 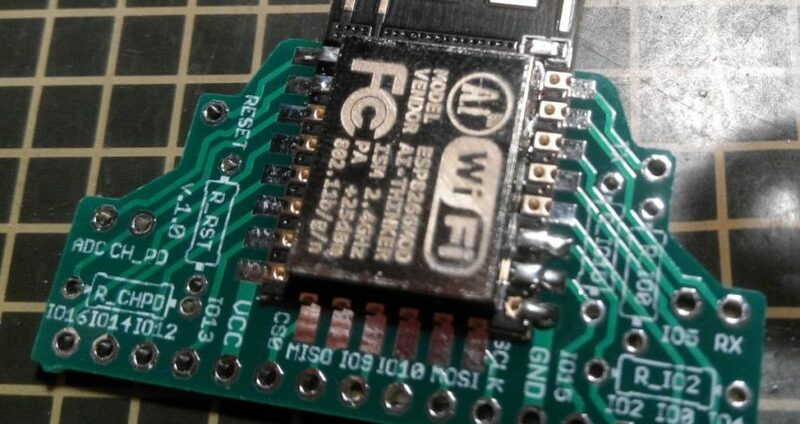 No FTDI like interface since you probably won’t include this in your final design – it’s more economical to use one serial port interface for all your designs. 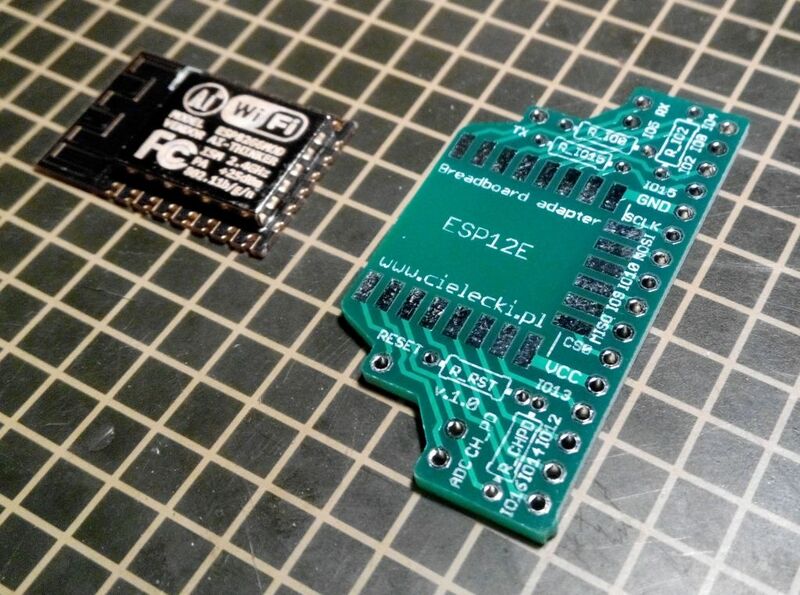 Dedicated thread is opened at esp8266.com forum.